There are plenty of unique online games that many gamers may not have tried, yet. A growing trend towards virtual world gaming is entering a new dawn with gamers. These types of games involve constructing or decorating buildings and rooms while chit chatting with people in-game. Living in a virtual world like Minecraft, you can build your home from scratch and play along with people in a hosted server to build an entire town or city from the bottom up! Buy or earn free game currencies to get all the custom and premium items only available to those with the proper game currency! 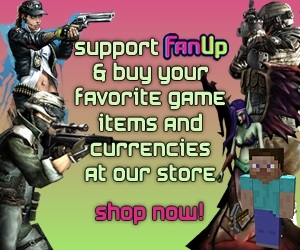 FanUp gives you access to 20000+ pages of game related news, help, cheats, tricks & fun. So feel free to check out information about these games here at FanUp, your online game headquarter.